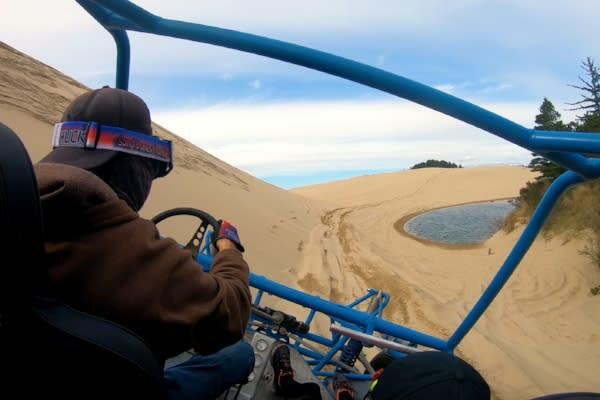 Ride a dune buggy across the amazing Oregon Dunes National Recreation Area, which stretches 40 miles (64.37 km) along the Oregon Coast from Florence to Coos Bay. The ever shifting sand creates mountains up to 500 feet (152.40 m) high, encircles coastal lakes, melts into flat ocean beaches and harbors extensive wildlife. 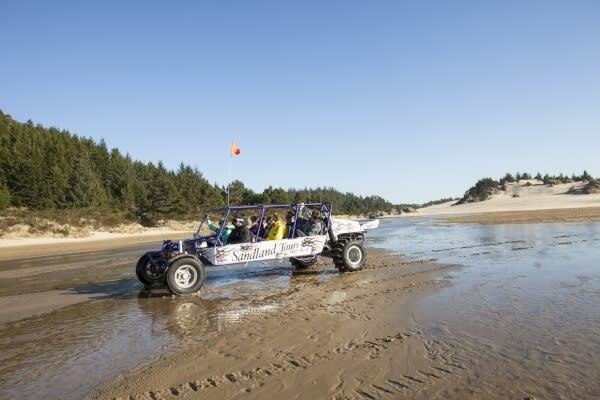 Dune buggy tours are one of the best ways to see this other-worldly, natural terrain. 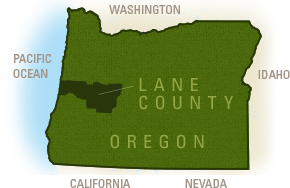 Guided off-road tours via dune buggies, sand rails or all terrain vehicles (ATV) add ecological education and awareness. ATV rentals are also a fun way to explore the sand dunes independently.